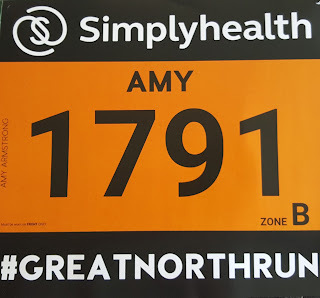 With The Great North Run just a few weeks away we've interviewed one of our GNR Fundraisers to ask about her reasons behind raising funds for PSS and what its like running after having her baby girl. I want to raise funds for PSS because they have helped me since I was first put in touch with them when I was about 11 weeks pregnant. I had never heard of Hyperemesis before and through them I managed to gain knowledge so that I could get the care that I needed. I was also allocated a peer supporter who was frequently in contact with me during my pregnancy, she was amazing and I honestly can't thank her enough. The online forum was also a massive help. It was great to have people to vent to who understood what you were going through, and we all seemed to help each other through it. There was 2 people on the forum who I particularly connected with, you know who you are, thank you. 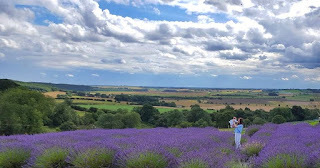 It's because of all this help that I want to give something back, help other women who are suffering and create awareness of what is an incredible charity and more awareness of hyperemesis its self. 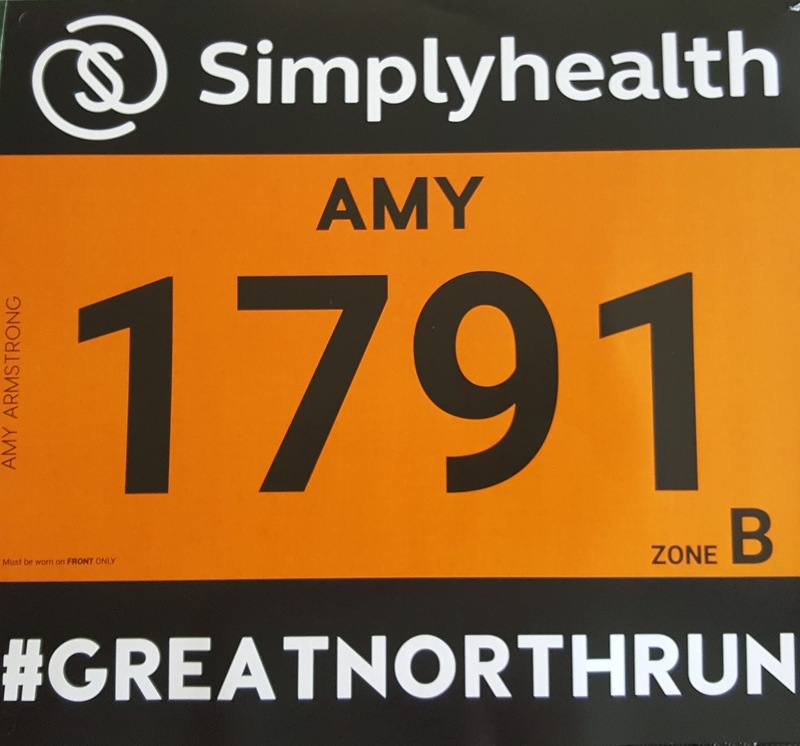 I am fundraising by running the Great North Run. It was a crazy idea I had while pregnant. I liked running before I was pregnant and had actually planned to continue running while I was pregnant, because of the HG though I couldn't run at all. I was feeling really low and suffering a lot with the HG so I thought I needed to do something, something for me and to help others. I put my name down and got a place. Having the place actually gave me something to focus on that wasn't pregnancy related that I needed to get too. I've never run a half marathon before so it's going to be a big challenge. Whats it been like running again after pregnancy & HG? Running has not been easy after pregnancy and HG. My muscles all wasted when I had HG and I was unable to do nothing to keep fit as I was pretty much bedridden most of the time. Having a hungry baby who doesn't sleep through the night doesn't help either. Still though it's a lot easier than having HG. The first time I went for a run after being pregnant I cried happy tears because I thought "I did it, I survived that pregnancy." I just want to do something to help all the other women suffering. After suffering with HG you wouldn't wish it on anyone. I plan to get more involved with PSS and hopefully volunteer once I have recovered a bit more. What was your HG Story and how do you feel now? HG robbed me of any enjoyment of pregnancy. My pregnancy was planned and very much wanted, but due to not having great care and not knowing about hyperemesis in those early weeks I actually considered an abortion. When vomiting about 80 times a day I honestly didn't think I would even survive the pregnancy. 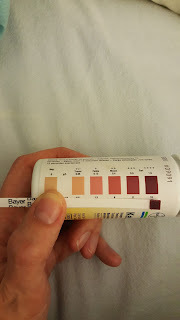 Luckily I then heard about PSS and I was diagnosed with HG when I had to go to A&E because I was so dehydrated. I still feel guilty for considering an abortion now but that is something I am getting help with. I was unable to go to work much due to how ill I was, or the days I would drag myself in I often vomited at work and on the way there and back. My social life was pretty much none-existent. I would try my best to put on a brave face but that probably did more damage than good. HG I think is hard because so many people just don't understand it, hearing people say over and over "oh the sickness normally goes by 12 weeks", "have you tried ginger", "eat little and often", "try eating crackers before you get out of bed on a morning" really wears you down because the truth is if somebody had told me that chopping my arm off would get rid of it I probably would have done it. Even the combination of the medication I was on didn't get rid of it, made it slightly better but then you have the side effects of the medication to deal with on top of that. If anybody else has been on high doses of ondansetron you will know what I'm getting at here. 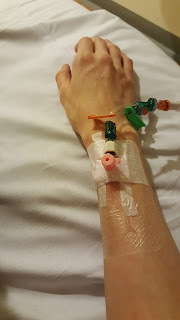 The nausea was crippling and unrelenting, I would have a couple of good days when I vomited 5-10 times a day then I would have the bad days, and then I would end up in hospital needing IV fluids and IV medication. Going to hospital just became part of the routine in the end, I knew all the staff there by name. The vomiting and retching with HG is on a whole other level. It's so violent, you vomit until you are vomiting blood, you often wet yourself which is humiliating but you can't help it, I also used to get scared that I was going to crush the baby. Your other half also becomes your carer, emptying the sick bowls, washing your hair, doing all the housework and everything else. I don't think they get enough credit and often people don't realise that they could use some help too or a break. I was too sick to have a baby shower, and all baby stuff was bought online or by relatives. We attempted to go to baby stuff shopping once on one of my good days, went on an evening thinking oh it will be nice and quiet. When we got there a parent to be event was on and we had to leave, the sight of so many people enjoying their pregnancies upset me too much. I also suffered a severe allergic reaction to one of the anti-emetics which nearly killed me and the baby. I'm eternally grateful to the midwife and health care assistant who helped me that day. I've never been so terrified and I don't think my baby girl and I would be here today if it wasn't for them. I was induced at 38 weeks because I was getting weaker and weaker and the thought of more weeks of HG was unbearable. The induction was started on a Wednesday and I finally gave birth on the Friday. I vomited throughout. As soon as the placenta was out, all the nausea and vomiting stopped. It was a surreal feeling. I felt great for a couple of weeks after the birth and then it finally hit me just how ill I had been. I now no longer feel hungry or thirsty and have to set reminders to eat and drink. I guess when you haven't been able to eat or drink properly for so long you just get used to it and that becomes the norm. I have nightmares that I have HG again, I don't like being around anything that reminds me of pregnancy or my pregnancy. I had to go to the hospital and walking up that corridor again terrifies me. I know all this should eventually improve with time. Lots of people ask me if I would have another baby. 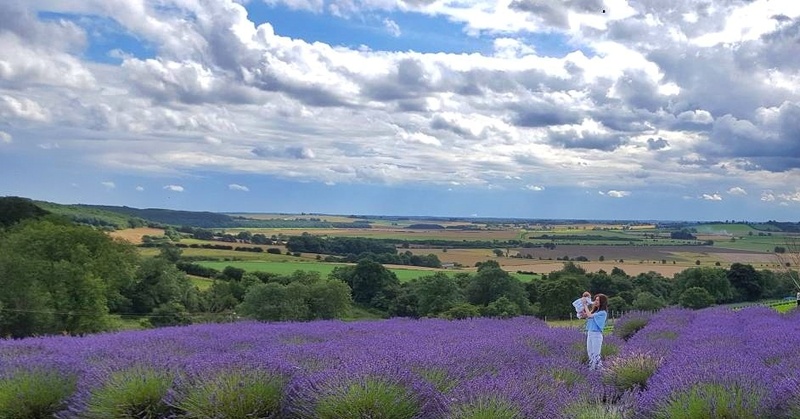 To be honest that question hurts as I still haven't got over the first pregnancy to consider doing it again, and it would be harder a second time round as my daughter would be pretty much without a mother for 9 months. I guess one positive to having HG is that I feel I probably cherish my daughter more because I fought so hard to get her here. Thank you Amy, we wish you the best of luck on the day and for the rest of your pre-race training.